Use our free team building exercises to enhance the quality of customer service. Smart leaders know that "service" is, without a doubt, the one key element that is completely within your control. Our Team Building At Work guide is available for free download, providing powerful ideas to improve the quality of service delivery. How you treat your customers and the overall experience that your customers receive will ultimately dictate your success or failure in business. Not only is the quality of the service you deliver within your control, it’s also a fact that SERVICE is the one thing that can and will always set you apart from your competition – for better or for worse. Identifying and retaining team members who naturally possess good judgement, people skills and a desire to please and serve others, will remain an ongoing challenge for every leader and the organization at large. Attention to the details will set you apart in the marketplace. If you can focus your team on this consistently, with an eye to continually enhance the customer experience, you'll earn and maintain your position at the top. "It’s safe to say that whoever wins the service game, will win the broader race within their industry." Always treat people the way you want to be treated. If someone in your organization makes a mistake, empower that individual to go out of their way to make it right for the customer. Let your people know that you don't hire "order takers". Rather, you empower people to make decisions that are reasonable to ensure that the customer's perception of the organization is protected and constantly improved. If the customer isn't happy because of a $5.00 fee, waiving the fee as a courtesy is far less expensive that making that customer so angry they tell all their friends about it on social media. The same is true for a $50.00 fee - SO BE SMART in how you handle customer complaints! The rewards your company will realize through a commitment to the customer includes increased customer retention, as well as increased customer referrals. The value of a strong customer service brand will far outweigh any cost involved in absorbing the cost of the error. The following free team building exercises will assist you in enhancing your team member's focus on their customer. Purpose: Increase awareness of living up to your Customer Service standards. Clearly communicate what customer service activities are expected from all staff. Explanation: This is one of our most simple, yet highly effective, free team building exercises. By asking employees what they can do to get the opposite result that you want, forces them to look at a common situation very differently. What can we do today to make certain that our first customer closes his account today? What can we do today to make certain that we obtain zero sales today? Although your team may mistakenly assume you’ve gone a little crazy, remain serious in your quest for logical and realistic answers to each question. React to questions in a negative or unprofessional manner. Don't ask for the business. Your team will come up with some very interesting, and probably some laughable responses. Write that all down on a flip chart so you can refer to them later. Next, make a point of recognizing that at times your organization may very well have been guilty of some of the errors listed. Next, inform your employees that many of your competitors are currently making many of these same mistakes, which will cost them loyal customers. Hey, isn't that a great opportunity for your team? Your team has already identified the things that they must NOT do to a customer. It should now be very simple for the team to identify the right things they must do to retain existing customers and attract new customers. In words and actions, make certain customers feel appreciated and perceive your team as highly valuing their business relationship. Always be courteous, finding out what's important to the customer and interact in a highly professional manner to identify and address the customer's needs. Ask for the customer's business in a manner that is authentic and caring. Let customers know they can trust you and that you'll strive to meet and exceed their expectations. Have a sales plan for success and work that plan daily. Hold yourself and team members accountable for making a certain number of customer contacts every day. Track results and be sure to reward and recognize employees for their success. As a team, identify your top 3-5 goals to improve the customer experience, and create specific ways for measuring your success. Goals should be written clearly – stating how much, of what, by when, by whom – for each goal. This is one of our most popular free team building exercises, probably because it's so simple. We encourage you to lead your team through this activity. "You put together the best team that you can with the players you’ve got, and then replace those who aren’t good enough." Purpose: Teach your team the direct correlation between their ability to minimize and quickly resolve customer issues through top-notch customer service, and the organizations ability to grow and maximize profits. Explanation: Smart leaders understand that RESULTS and LONGEVITY are the two main reasons for constantly measuring and improving customer service standards. The results produced by your team will be directly impacted, positively or negatively, by how well the front-line employees are treating their customers. 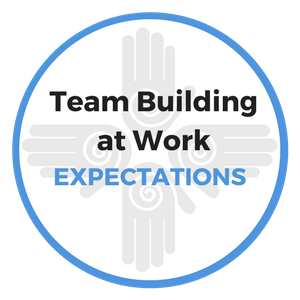 If you take anything from the free team building exercises in this section, you should impress upon your employees that above all else, their focus can never be taken away from what the customer is actually experiencing. In your next team meeting, ask your team to identify 3 ways that they can show their customer how much they care and appreciate their business, which will set them apart from your competitors. Mrs. Johnson, tell me, how are we treating you? Are you getting everything you need from us or can we do better in some way? 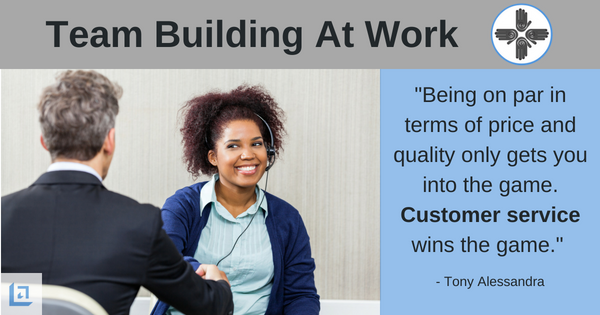 Encourage employees to customize the customer phrases of appreciation to their liking. Not everyone has to say the same thing as a robot. In fact, make sure they don't do that! Results from these efforts can be immediate. (Hey, another great benefit of our free team building exercises!) Customers will feel an increased sense of gratitude and appreciation for your organization and for your employees. As employees continue to have positive interactions with their customers, they will begin to realize they really enjoy the responses they get from their customers and will be open to trying new ideas in the future. 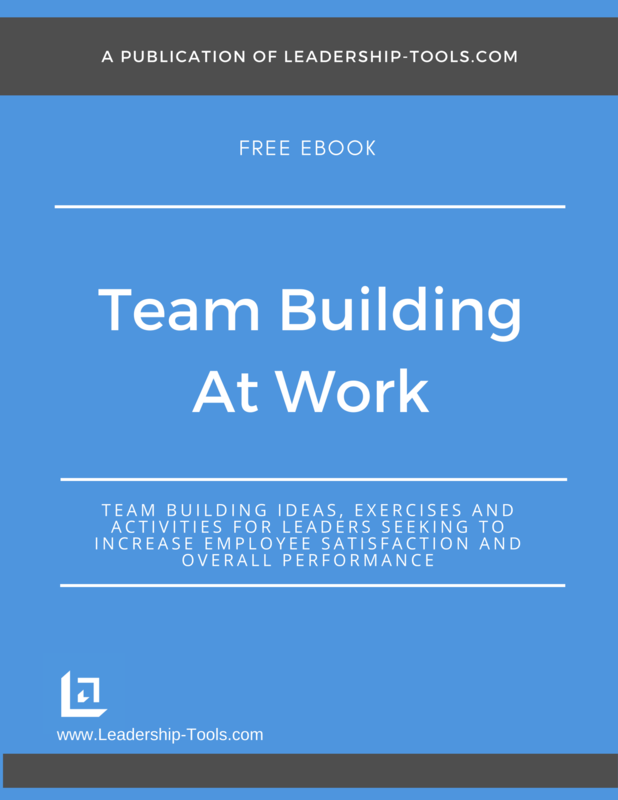 To download our Team Building At Work eBook for free team building exercises, simply subscribe to our free newsletter. You will immediately receive a password that grants access to our entire leadership tools library.